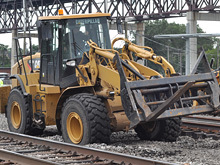 MacAllister Railroad Machinery sells, rents, leases, and services high-quality equipment specialized for railroad applications from Cat®, JLG and other manufacturers. 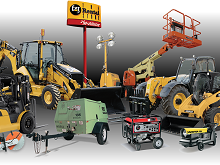 Tampers, trailers, lifts, trucks and more. 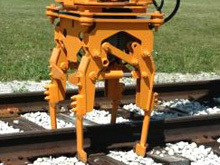 Equipped with hydraulic thumb and rail guide wheels. Available in several sizes and undercarriage options. Equipped with fork attachments and modified for transport.